Our first snow arrived this week, and the ground became blanketed with a beautiful and clean covering. It was really quite beautiful, but all to soon it will be full of road salt, and sludge – and not quite so lovely to behold. 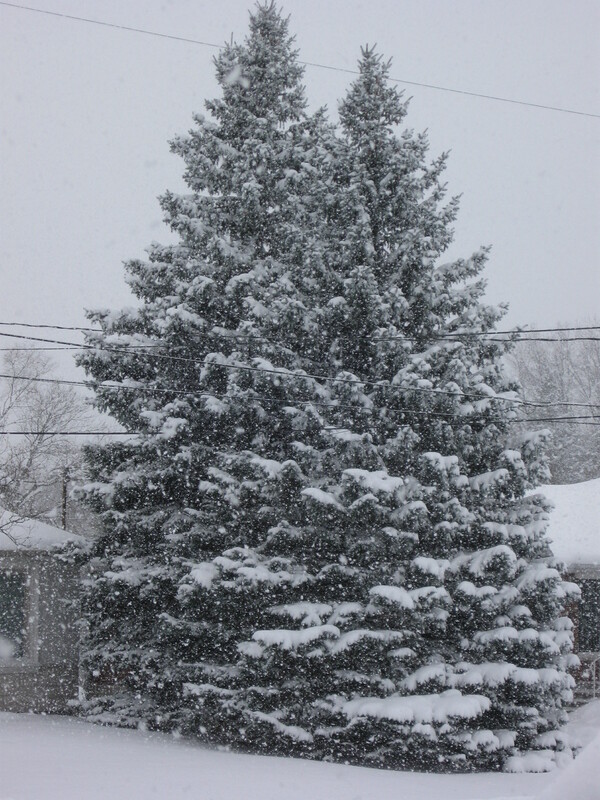 A fresh snow is the perfect setting for getting us in a Christmas way of thinking. Our step is a little livelier, the kids are a little more excited, and the world seem to move more quickly. Christmas can be like this morning’s snow. The closer it gets, the more we are willing to have the blanket of Christmas spirit cover us; our self-focusing, our impatience with life’s situations, and our need to be satisfied, are all temporarily “put to bed”. We turn our thoughts to the sharing of time, sharing our resources, and looking to take care of other’s needs first. And after January turns on the calendar, we return to our regular life of everyday “muddiness”. We have now entered the second week of Advent, that time when we recall the history of God’s people and reflect on how the prophecies and promises of the Old Testament were fulfilled. This gives us a background for the present. Today we can reflect on the past track record of God and so begin to understand what it means to us now for the sake of what is to come, in our own future and that of our world. God broke into history just have a relationship with us, with you. Soak in that for a minute – He came into history just to be with you…the one who flung the stars in space is the same One that seeks – you. Let that truth stay with you this year, and don’t get caught up in the “muddiness of life” once again after the new year has arrived. The families connected to our Children’s Ministry have been making nativity banners this year. It’s a great creative and visual tool to retell the age-old story, and to take a fresh look at how Jesus’ birth connects with our lives today. If you don’t have a direct connection to our Children’s Ministry, but would like to participate in this activity, please speak with me, and I’ll get you the patterns and devotional. Our Christmas Eve service is a family time, and we would love to see you there. It’s a time to celebrate in His birthday party together…and really, what’s a party without all of our friends together? I hope to be able to spend that evening with you. Carolyn and I will be sharing some time with the kids, and we have a special treat for them, too. As I finish this year, I am reminded of how deeply blessed I am to serve among you. May you meet anew, the God who stooped into history, just to walk with you…and may the peace that Jesus brings, fill your life – this Christmas and always.